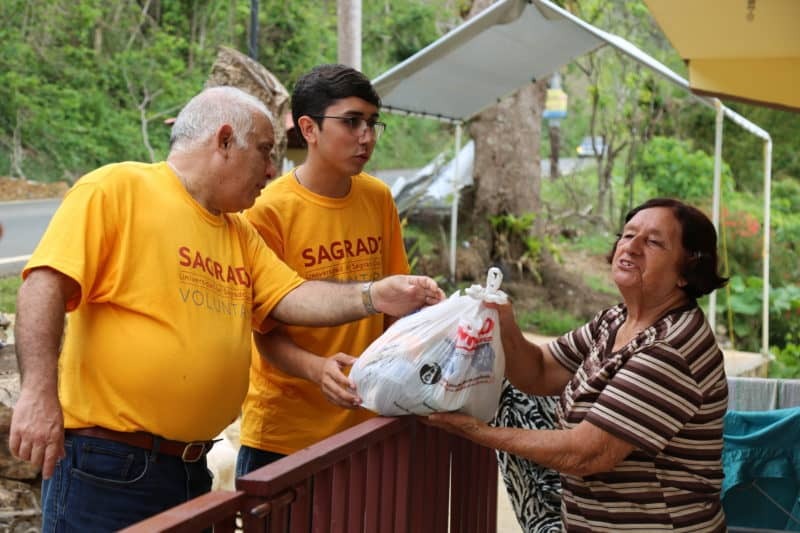 Sagrado students have stood out in their hometowns because of their civic participation and community support. During the past months, they have delivered supplies, organized cultural events, and have spent time with their neighbors. 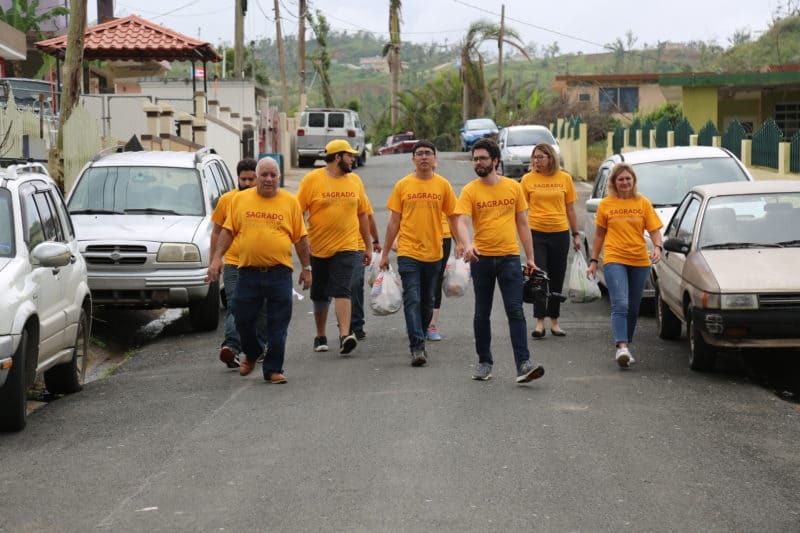 Sagrado Student Council President Rudy Nieves Santiago had a gratifying experience after serving in Naguabo with Sagrado is With You (“Sagrado Contigo”) volunteers. “When I arrived in Naguabo, I said, wow!, there are people helping my community, my people. I felt proud that my alma mater was among them,” he said. According to Nieves, the University has been the pillar of learning in molding his inner leadership. “Sagrado has allowed me to see beyond, not to think as an individual, but about the group, and to be supportive and compassionate,” Rudy added. José Carlos Sánchez-Cintrón has devoted himself to rebuilding his town with his large family by applying the knowledge and skills gained through his years of study and his experience as a student leader. “In Sagrado, I learned, not only to develop my skills as a leader but, as the saying goes, to follow your heart. In addition, to focus on finding solutions,” emphasized the former president. Sánchez Cintrón took “Sagrado Contigo” to his hometown of Barranquitas. They distributed happiness, hope, and food to one of the most seriously hit communities. “Barranquitas was destroyed, especially the Maná community, where I grew up. You could breathe sadness and hopelessness. Even so, people came out to try to rebuild their communities,” he explained. 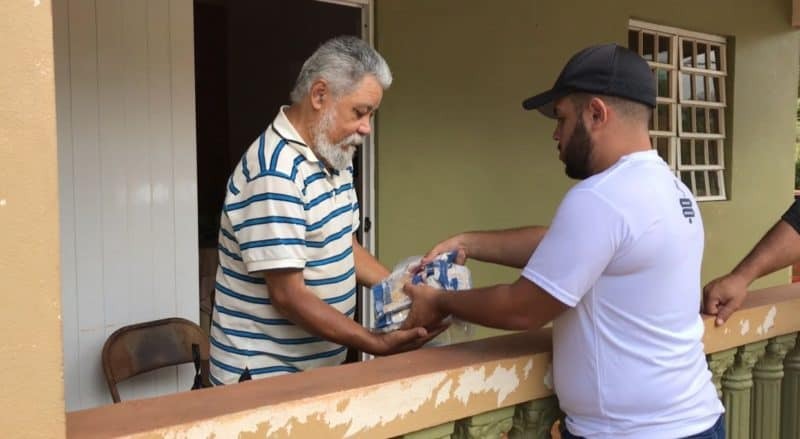 “Sagrado Contigo” joined Delfin José Alexis Montalvo-Rodríguez to deliver food to the “lungs” of Puerto Rico, through his Wake up Maricao (“Maricao Despierta”) movement, to promote tourism, culture, and art to his town. “Sagrado contributed to great goals in my life, especially in reaffirming the importance of community service as part of our mission as Delfines,” he said. The opportunities that Sagrado has offered Montalvo-Rodríguez have taught him to never give up. “As a little boy, I always loved to serve and, in this situation, I have been able to use my skills to help others. This has been the best opportunity of my life,” he said. 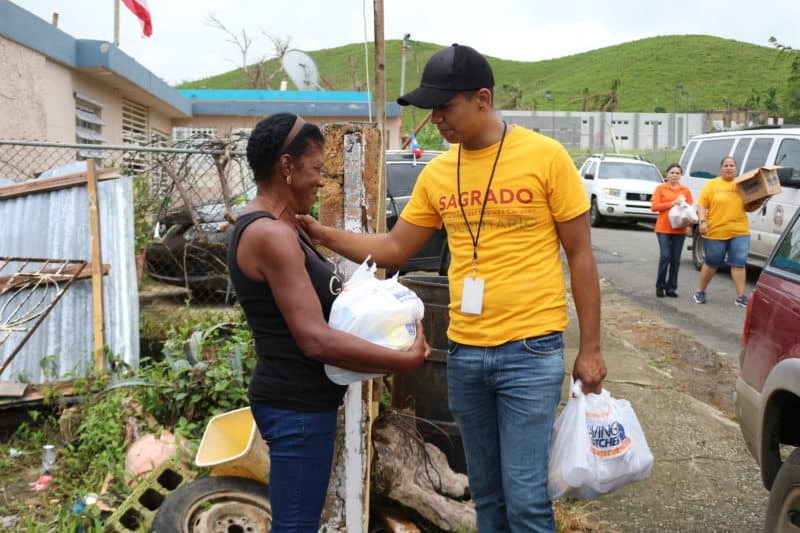 “Sagrado Contigo,” along with the unconditional support from its 587 volunteers, has reached more than 60 towns and approximately 39,000 people.